Making and giving handmade gifts is one of my favorite things to do! I try my best to make sure that they are truly something that the recipient will enjoy. 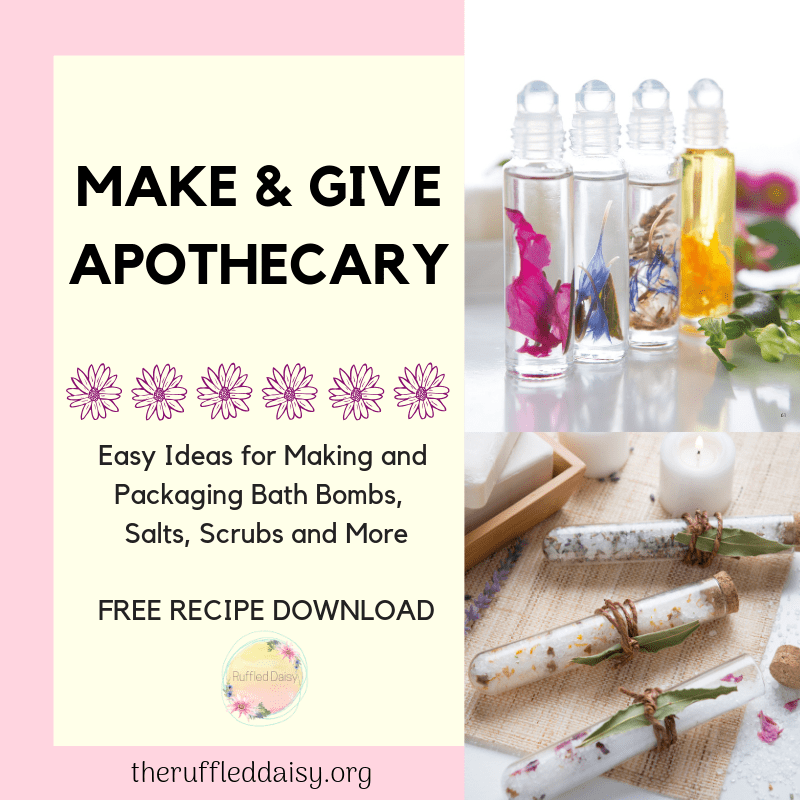 When I got the Make & Give Home Apothecary book from Stephanie Rose, I KNEW that I had to add some of these to my ideas for gift-giving. Gifts that promote self-care and encouraging a person to take care of themselves are some of my favorites. I am a new user to essential oils and so these are perfect! Find out how you can make your own with the FREE recipe below! 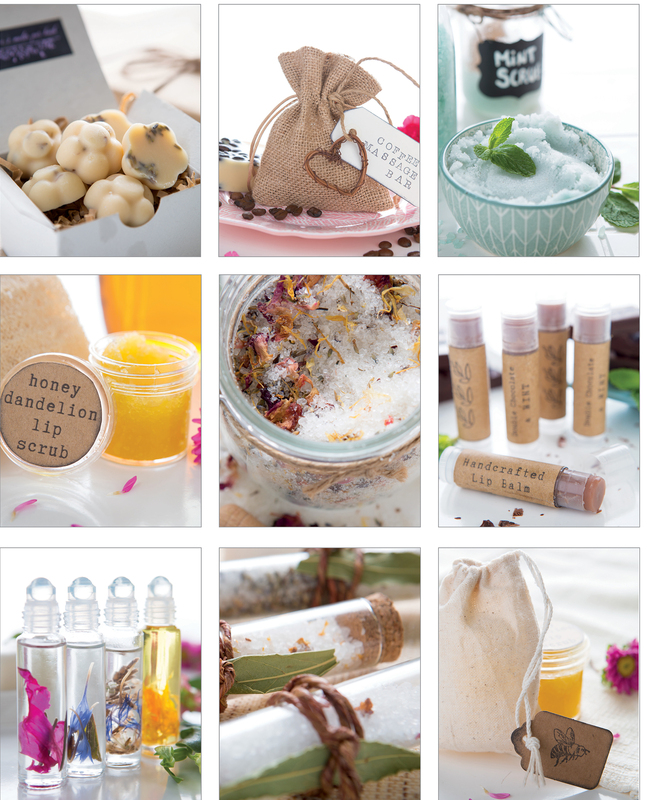 Each recipe is made using herbal and botanical ingredients to demonstrate 12 basic recipes that can be personalized and customized to make hundreds of bath and beauty products at home. 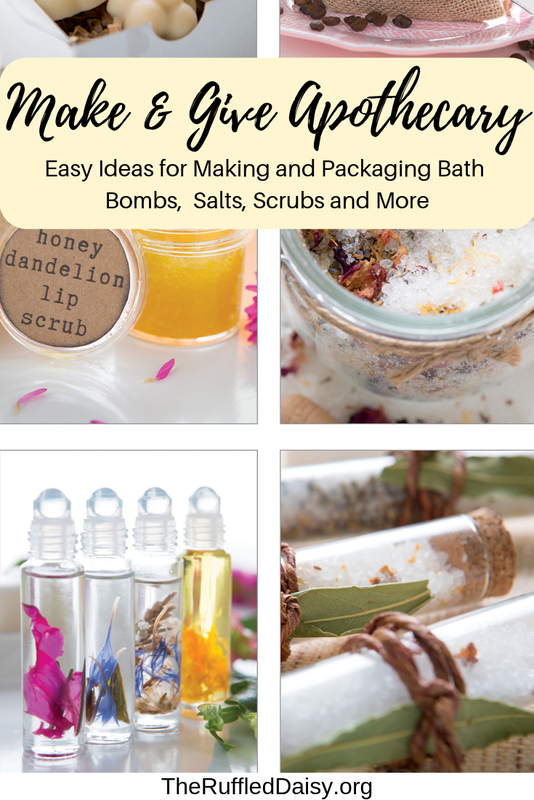 Learn how to make your own lotion bars, scrubs, bath bombs, lip balms, perfume and more. As an added bonus, each recipe also comes with instructions on how to package it up beautifully to give away as a gift. Make the projects in small batches for personal use or make larges batches for holidays gifts! The fun of creating these projects is made even better by the smile on the face of the lucky person who gets to use them. One of my favorites from the book is the Botanical Bath Salts! I adore the glass test tubes that she displays them in. It makes giving them as a gift absolutely adorable! And if you are making them for yourself, these could be beautifully displayed in a basket around your bath with other spa items. I’m going to show you how to make your own! Stephanie Rose is an award-winning author and the creator of Garden Therapy. Garden Therapy started as a personal blog and has bloomed into a community of craft and garden projects for people looking to add some creativity to their lives. Originally, Stephanie started writing as a way to log her garden therapy journey while recovering from a sudden and debilitating illness. She soon connected with others who also used gardening and craft projects as therapy and shifted the blog to focus on sharing clear and helpful do-it-yourself instructions for over 800 healthy living, gardening, and craft projects. Stephanie started making her own natural beauty products and soap in 2008 to use what was growing in the garden for personal beauty and wellness. After testing countless recipes, she has found what works best for her family and now makes all of her own soaps, lotions, scrubs, lip balms, and healing salves. 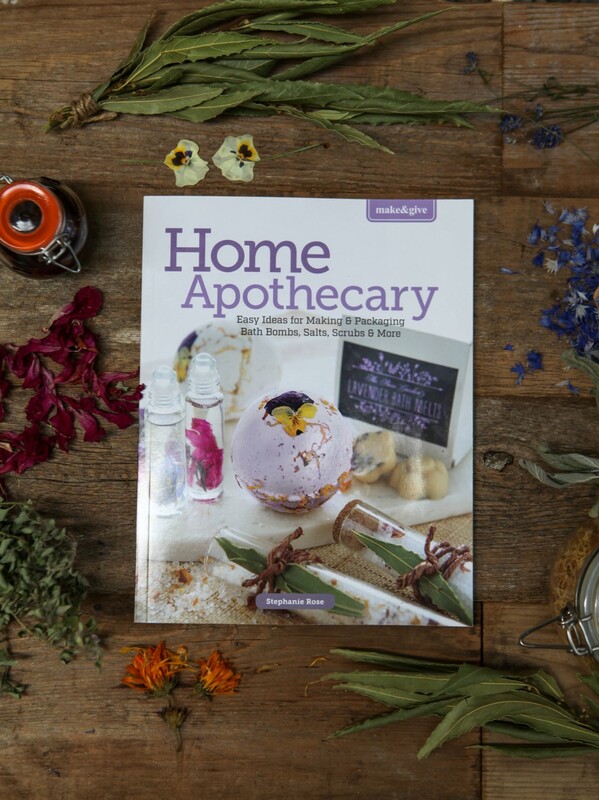 Many of the natural skincare recipes she uses can be found on Garden Therapy and in the Natural Beauty Recipe Book which was released in January 2016. Stephanie lives in Vancouver, BC, where she works full-time as a writer, photographer, crafter, and artist. 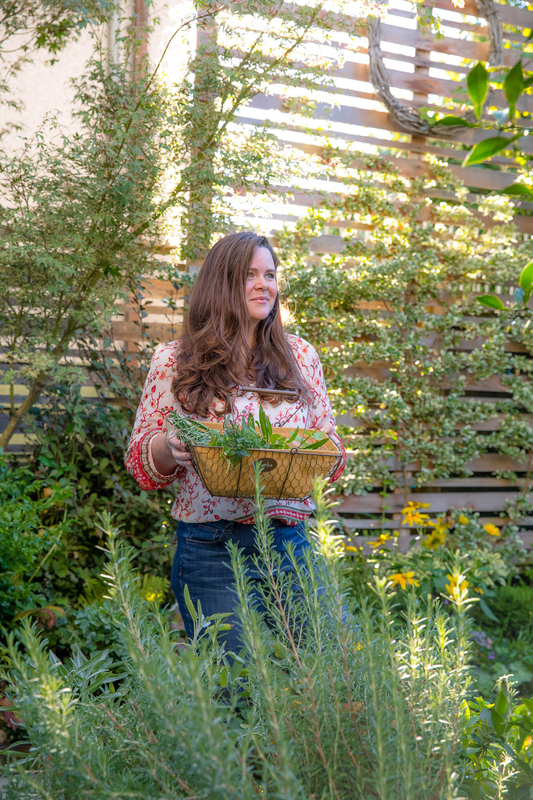 She can be found in her garden studio testing new recipes and creating beautiful things with natural elements. As a Master Gardener, she volunteers with a school-to-farm program that teaches inner-city children how to grow and cook their own food. At the end of the day, Stephanie enjoys every moment she can get with her family. She lives with her husband, son, and a motley crew of animals who provide her with inspiration and delight both in and out of the garden. There’s nothing more healing than time spent soaking in a warm tub. Using botanicals, essential oils, and bath salts is a luxurious way to pamper your skin and detoxify your body. A trio of three different botanical bath salts allows you to give the gift of three different healing baths for different moods. Lavender bath salts are wonderful before bedtime and allow your body to relax into a deep sleep. Rose bath salts are soothing and help to repair skin, plus rose is the flower of romance. Citrus bath salts can help cheer you up when you’ve got the blues. Recipe #3: Dried citrus rind and zest & 10 drops of citrus essential oil blend or any combination of sweet orange, grapefruit, lime, lemon, tangerine, and bergamot. Gather all of your ingredients and set them out in your work area. Using a funnel (or a sheet of paper rolled into a funnel), fill each of the test tubes with Epsom salts, leaving 1” of headspace. Pour the Epsom salts out of one of the test tubes into a small mixing bowl. Combine the Epsom salts with the dried botanicals. Use a dropper to add 10 drops of essential oils. Mix well and refill the test tube. Repeat steps 3 and 4 with for the second and third recipes. When you have filled all three of the test tubes with a different fragrance and botanical blend, top with the cork or lid that came with the test tube. 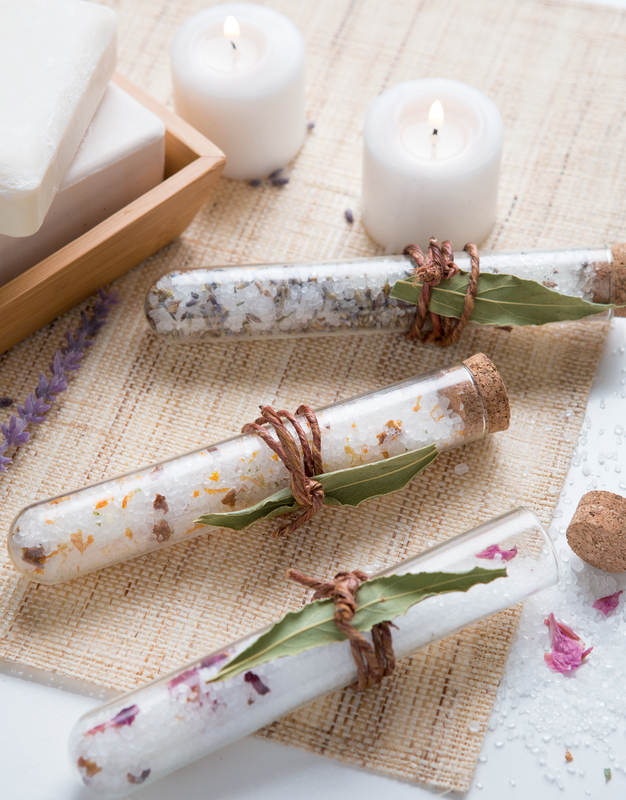 Package this trio of botanical bath salts in a set of glass test tubes, each topped with a cork. Wrap decorative wire around each one and toss in a dried bay leaf. Pop them into a burlap drawstring bag to give them as a set. Reprinted with permission from Make & Give Home Apothecary by Stephanie Rose, © 2018. Published by Leisure Arts. Here are some of the other projects that are in the book! There really is something for everyone! If you aren’t into making things like this of your own but have a friend that would enjoy it, purchase the book, grab supplies for one or two of the projects and package it up in a basket and give that as a gift! Some people that would LOVE this as a gift? Teachers, your Pastor’s wife, a new mom, or a home-bound person. Hop on over and grab the book HERE! It’s available in paperback or digital download.